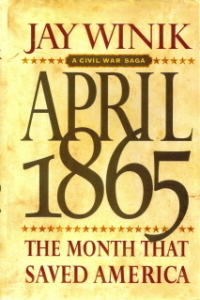 A 501 (c) 3 Charitable Organization The name of the organization is based on the Jay Winik, Civil War Saga “APRIL 1865, The Month That Saved America”. Join the April 1865 Society Here! “As of January 2010 the IRS has approved the 501-C(3) charitable status for the April 1865 Society, Inc.
To become a member in The April 1865 Society, download the registration form by clicking Membership Form. Beginning in 2013 as part of our membership package, Members may attend the Battle of Selma Grand Military Ball at no charge. Period Dress is required for admittance. See grand Military Ball for details. Since April 2010 over 250 members have joined. This is a great start to the April 1865 Society, Inc. and shows the depth of support for this Event both here in Selma and around the Southeast. Thank you for your Support!